The moment you enter our doors, you know you’ve found something special. Whether it’s our warm adobe atmosphere, the sounds of goldsmiths working upstairs, our friendly family or the jewelry…brilliant with history, style and individuality…you will see something you’ve never seen before. 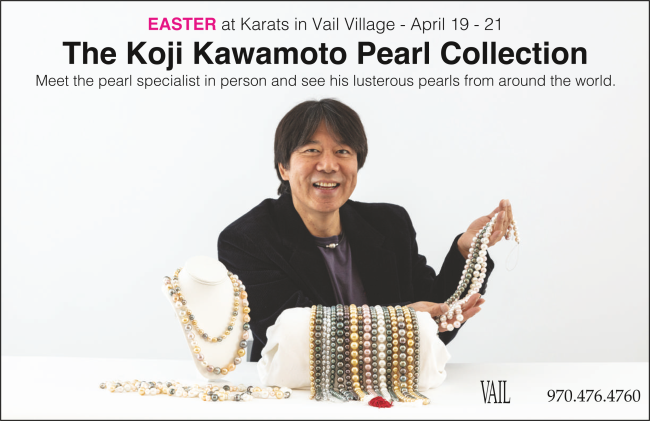 Karats of Vail defines the timelessness of elegant jewelry expertly crafted from ancient materials into works which will touch your heart and your spirit. Karats brings you the artistic essence of the past, the present and the future. Visit our working studio gallery on Meadow Drive in Vail Village. You’ll find unique pieces from Dan Telleen, an artist of extraordinary vision and creativity—timeless, beautiful creations which speak about the love of natural things for all eternity, crafted just for you, in the heart of the Rocky Mountains. There’s always something new happening at Karats. See the latest news at Inside Karats or check out the YouTube page highlighting our most recent videos.